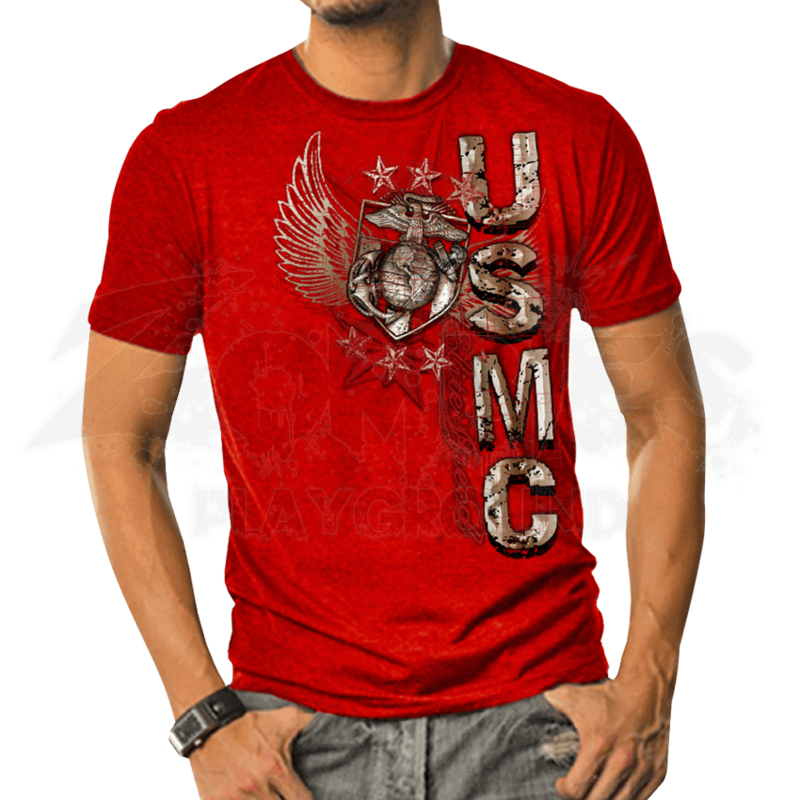 In spectacular regality, the USMC Elite Breed Wings and Stars Foil T-Shirt shows support for this elite branch of the United States Armed Forces. Printed on red fabric, its graphics are embellished with metallic foil details. The front displays the USMC letters down one side, accompanied by a USMC logo. On the back, a large graphic shows the same anchor, eagle, and globe logo on a shield surrounded by griffons, wings, and star details. 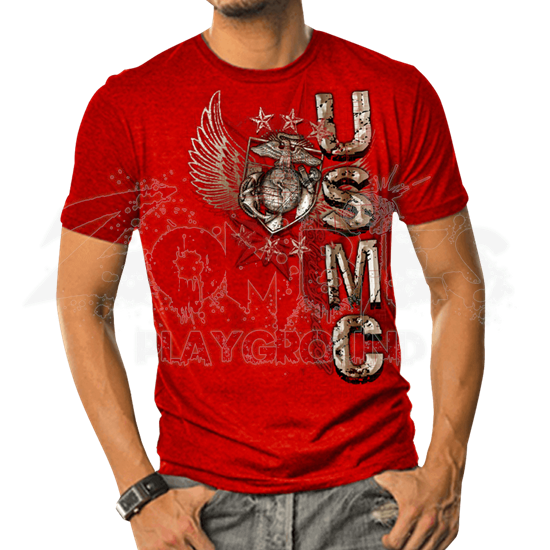 An eye-catching way to show your pride for the US Marine Corps, this t-shirt is made of 100 percent pre-shrunk cotton with a heavyweight construction, giving it both durability and comfort. Gift it to a loved one passionate about the USMC, or wear it yourself as a way to incorporate patriotism into your everyday casual wardrobe.